Boreal Forest Pack » Biographies » Wolf Biographies » . :Ralphini - Always Free:. Welcome Guest, to my bio! Name: Ralphini translated 'wise wolf'. Age: Six years and two months, she has only entered her elder years. Scent: She smells of wilting daisies and blood. Build: She's extremely strong for an elder female but her arthritis wears her down. She has very long legs for great stamina and speed. Fur Texture: Very long and silky but it's rather rough and thick in some areas for protection and just because she's too lazy to groom in some parts. Pelt Color: It's a silver with faded blacks, whites and greys all over. On her muzzle she has a darker greyish black though and browns can be seen in areas. Scars/Markings: She has claw marks on her right flank, bite marks on her left back leg and a large scar on her chest but it's covered by fur. Personality: Ralphini is a calm and gentle wolf but won't stand to be pushed around. She's stubborn and speaks her mind, but she has a big soft spot her the weak, including pups. She just wants to protect and love but that's going to be hard thanks to her history. History: Ralphini came from the greatest hunters and fighters in the world, a pack of them. Her whole family and pack taught her the skills of leadership, fighting and hunting. But when the alphas of the pack passed the pack split apart, and Ralphini faded away to find her own life. She met a male whom she fell in love with... or so thought. They had many litters together and led a whole pack, the male slacking off. But when a dirty rival plotted a evil plan, all went wrong. The male knew of the plan and tried to stay calm, but when the day came. A litter from another father, he freaked and killed Ralphini. But she survived due to her pack's teachings and she slithered away, holding onto hate and hope to survive. But then all hope was lost in a blizzard, she was hungry, cold and on the verge of death. Then, a soft paw was held out. 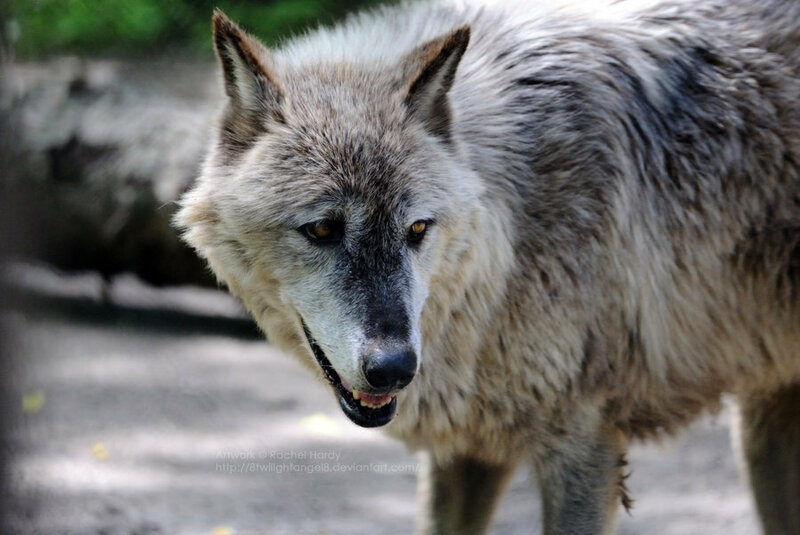 Another old wolf's, she smiled and helped Ralphini up of the snow and led her to her den. There she was healed by the old wolf whom was also a shaman. They told each other their stories and after time Ralphini grew strong again. She thanked the wolf with her life, she vowed to stay with the wolf and protect her, and she did. But years dragged on and the wolf slowly died, but in peace. Her last words to Ralphini were, "stay strong, and find a place where nothing is a lie." Ralphini wiped her tears and did what the old wolf told her, though she was begining to fade herself. She pushed herself night and day to find a pack. When she heard the word that the Boreal Forest Pack's alphas had vanished from a friend, far away, she ran. After all she was a distant blood relative to one of the members. Now she finds herself in the temperate woods in which is where the pack lurks, would they take the large grey wolf as a threat?... or a friend? LOL, Akai.... I have the same feeling ._. 9 Re: . :Ralphini - Always Free:.